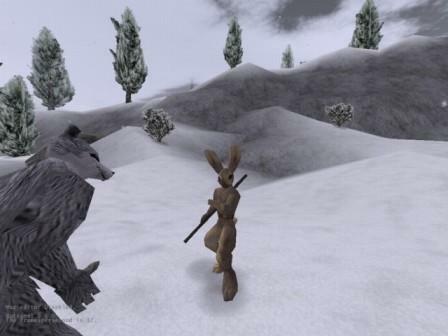 Lugaru, (also known as loogaroo or Lugaru: The Rabbit’s Foot) is the first commercial third-person 3D action and adventure video game created by Wolfire Games for Mac OS, Windows, and Linux. 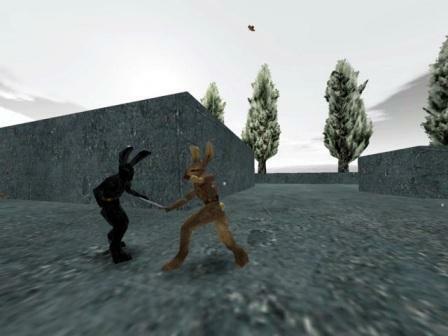 Lugaru features an anthropomorphic rebel bunny rabbit with impressive well-developed combat skills named Turner. The gameplay of Lugaru involves Turner, the rabbit, goes on the quest to find those responsible for slaughtering his village. As he does so, he uncovers a far-reaching conspiracy involving the corrupt leaders of the rabbit republic and the starving wolves from a nearby den. Turner takes it upon himself to fight against their plot and save his fellow rabbits from slavery. Lugaru has win popularity and praise from gaming community for its emphasis on game play and unique combat system. Instead of relying on confusing buttons combination to perform moves, Lugaru’s moves are all logical and context sensitive. The new combat system makes fights look and feel much more intense and believable than in any other game. With Overgrowth been released as the sequel to Lugaru, Wolfire is giving away free copy of Lugaru (which normally costs $19.95) for no cost for limited time only during the Christmas season in order to promote Overgrowth. To grab a copy of Lugaru, head to http://www.wolfire.com/free-lugaru. Enter your name and email (must be valid as serial key will be sent here), and then choose the game platform to play on. Click on Submit button, you will instantly receive an email with a genuine legitimate serial number for Lugaru that can be used to activate full version Lugaru by typing in that number exactly as shown to unlock the full version (click the “register” text that pops up when you exit the game). For more enjoyment, there are a bunch of third party campaigns, high resolution textures, maps, and other mods available for free download on Wolfire forum.